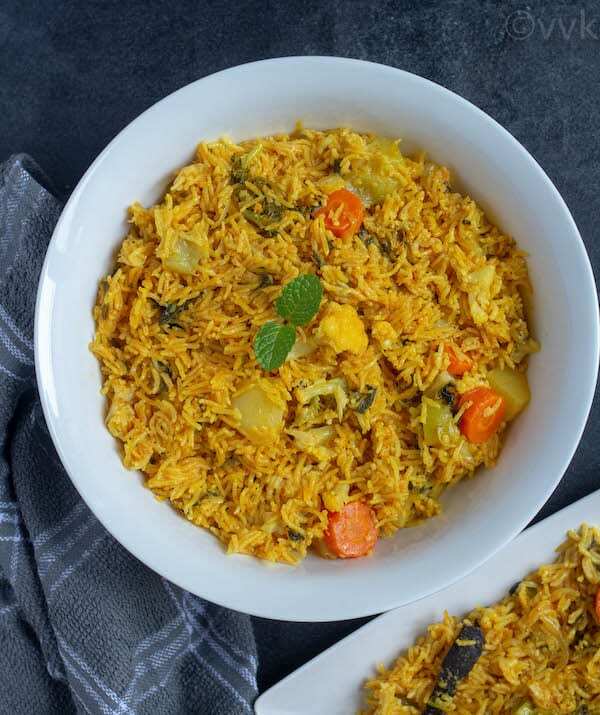 I am back with a regional biryani recipe and this time – it is one of the staple biryani of India. It is the Hyderabadi biryani, and according to Wikipedia, it is believed to have originated in the kitchens of the Nizam of Hyderabad. It is more like Mughal style biryani and there are two different styles in Hyderabadi biryani. One is the kacchi style and the other one is the pakki style. But today, I am going to share my own version/style. 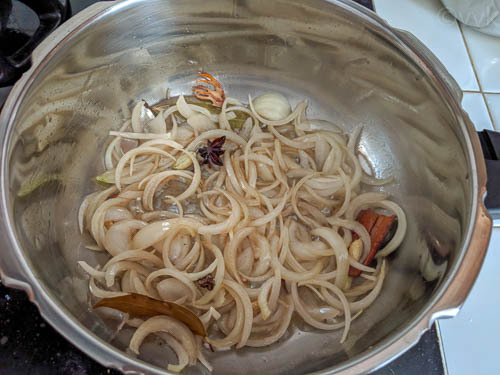 I learned this biryani from our friend Srinivas who is a chef and a restaurateur. It’s not the only recipe that I shared from him. 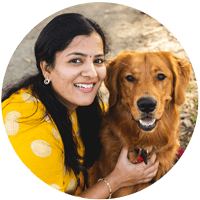 I have learned quite a few, and I have shared it on the blog as well. TamilNadu style Dum biryani, zero oil salna, Tirunelveli sodhi are some of the recipes that I learned from him. I have a few more coming up as well. Like Kolkata biryani, the ingredient list might be lengthy but believe me; the cooking part is simple. 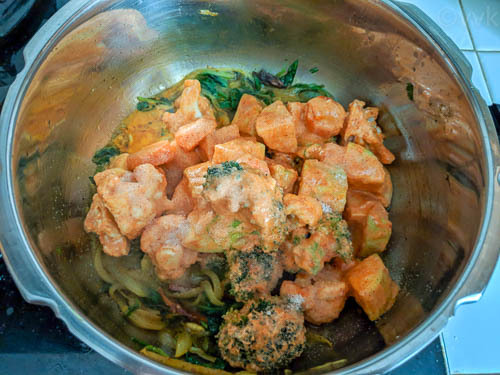 We need to marinate the vegetables, saute them and then pressure cook. That’s all. 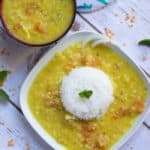 Now let’s see the Hyderabadi veg biryani recipe. 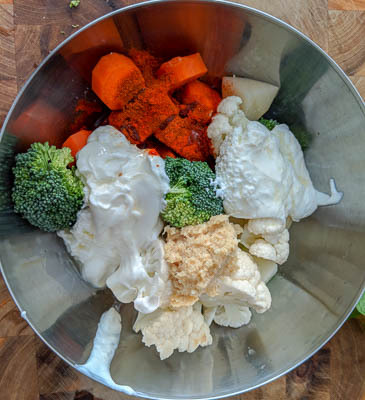 In a mixing bowl, add all the vegetables, yogurt, ginger-garlic paste, red chili powder, oil, lemon juice, and kewra water. Mix thoroughly and let it marinate for atleast 30 to 45 minutes. 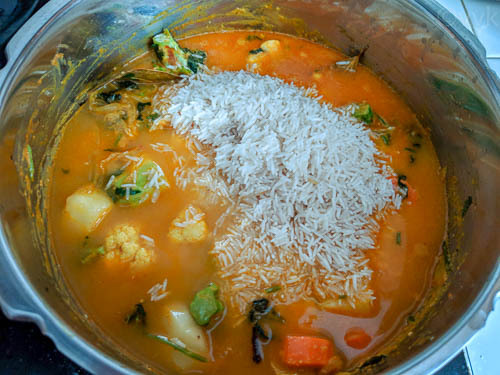 Also, wash the basmati rice and soak it in water for 15 minutes and drain the water. 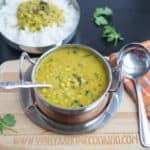 In a pressure cooker, add the oil and ghee. 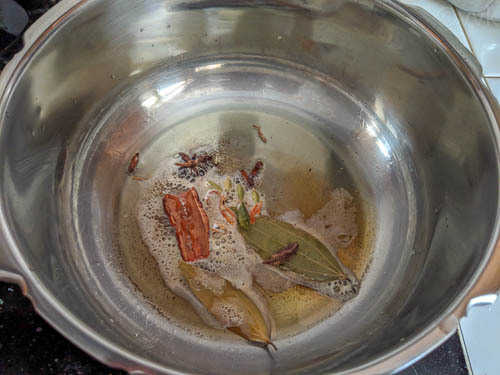 When the oil is hot, add the bay leaf, cinnamon, cardamon both green and black, star anise, cloves, and mace. Fry for 30 seconds. Then add the onion and cook until they turn translucent. Now add the grated nutmeg, turmeric powder, and salt. Mix well. 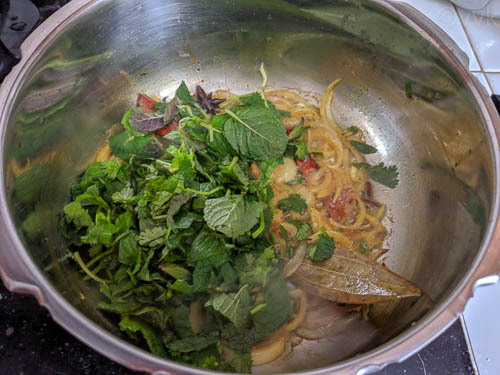 Then add the mint and cilantro leaves and cook until they wilt. Next, add the marinated veggies. 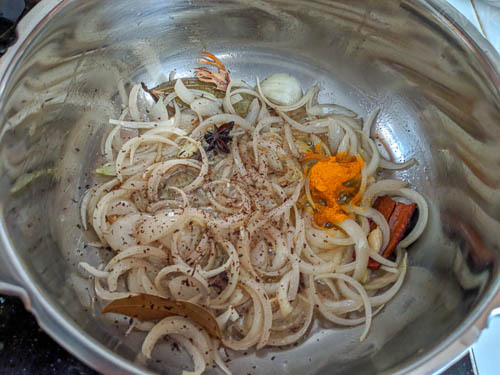 Mix thoroughly and ensure the spices are well coated. Now add the water, drained rice and the rose water. Gently mix. 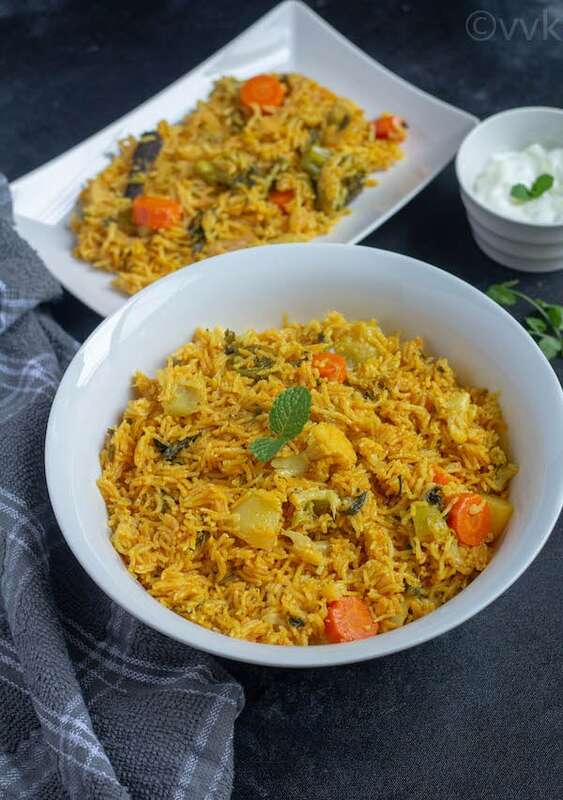 Make sure you chop the veggies into big chunks for this biryani. 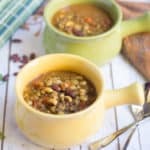 You need approx 4 cups of mixed vegetables for this recipe. If you can’t find kewra water or rose water, you can ignore them but add saffron soaked milk along with a tsp of sugar. 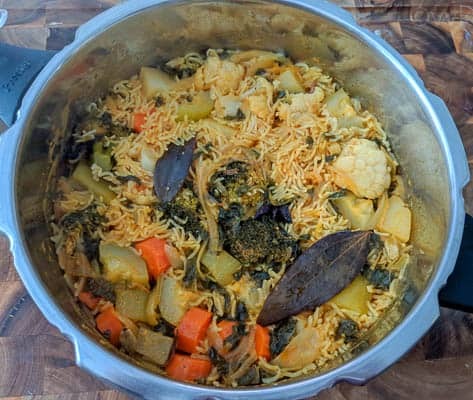 PS: If you try this pressure cooker Hyderabadi Veg biryani recipe, don’t forget to comment and rate the recipe. Also, follow my YouTube Channel for new video recipes. 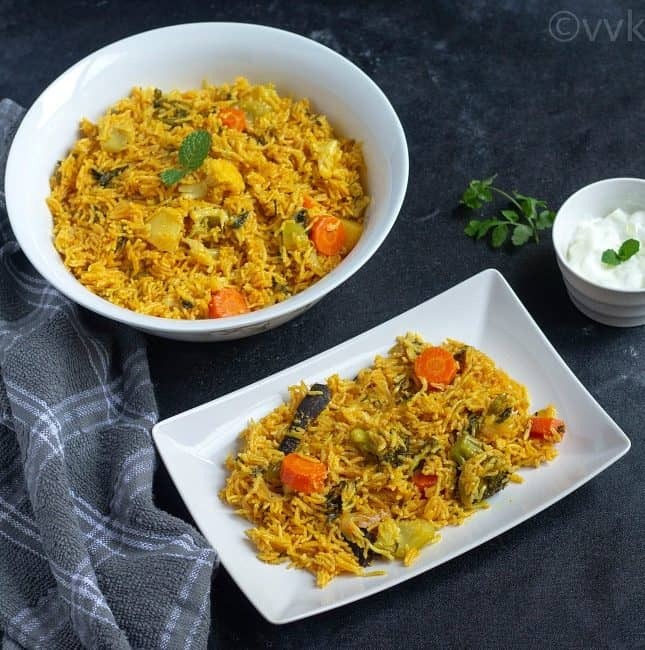 An aromatic and flavorful biryani with vegetables made quickly in a stove-top pressure cooker. Next, add the marinated veggies and mix thoroughly. Adjust salt and spice according to your preference. 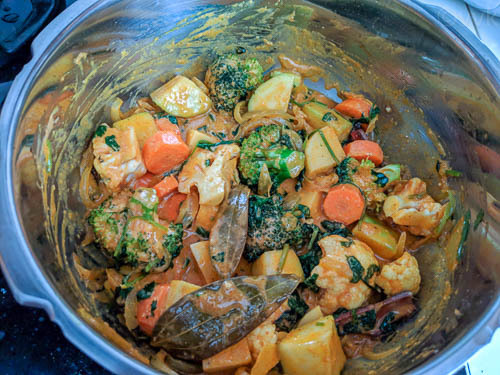 Make sure you chop the veggies into big chunks for this biryani. 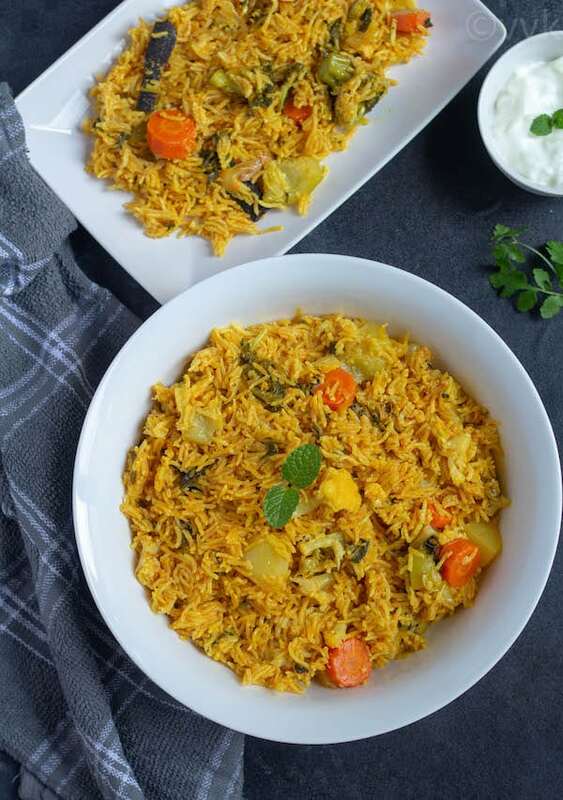 Any type of biryani would be delicious when made with the hyderabadi masala… Lovely Veg biryani.. 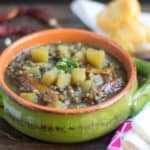 I made a version using Mutton so i knew how delicious it would be!! Oh yeah. I am sure it would have been delicious. Awesome Srividhya, the biryani looks stunning and so sinful!..will surely try it sometime.. I once made the dum version of Hyderabad biryani and we all loved it. 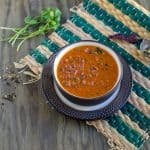 This one pot version sounds easier and with all those spices, it would make an amazing delicious biryani. Nice to know u have a pressure cooker too :-) lol !! just kidding ! the flavour packed biryani is so tantalising. 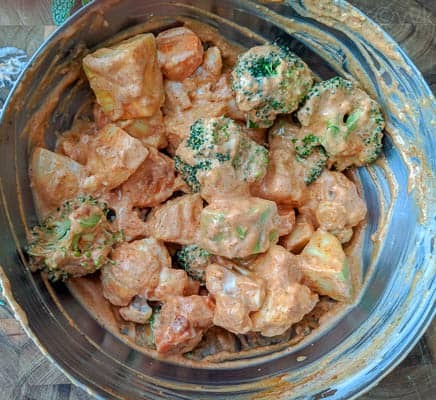 and hats off to ur effort of prepping for the entire week , shooting videos, sharing ur weekly meal plan AND makign such elaborate dishes… super stuff, pa ! Thanks Suma. I am yet to see yours.